Tancook Sauerkraut | M.A. HATT & SON LTD.
M.A. HATT & SON LTD. Welcome to the official site for Tancook Brand Sauerkraut, a product of M.A. HATT & SON LTD.
Tancook Sauerkraut is a proud family owned and operated business for four generations. Cory Hatt has learned all of the secrets from his father to continue to make Tancook Sauerkraut the product you have come to love. We thank you for your support and for making us one of Atlantic Canada’s favorites. 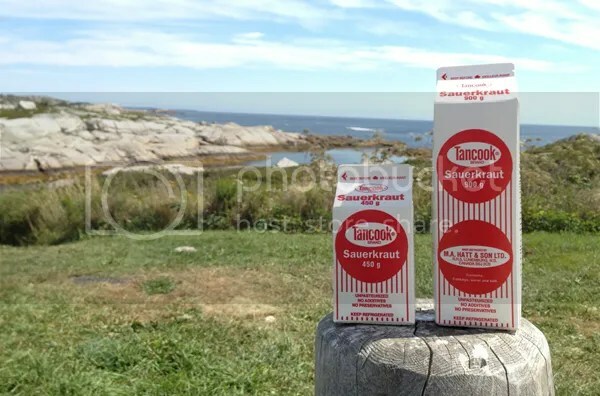 Please take the time to read over our site and share your Tancook Sauerkraut experiences with us. © 2014 M.A. HATT & SON LTD.